Having orthopedic issues, losing weight, getting in shape, or rehabilitation during physical therapy can be hard for those who are overweight or are obese. Part of the reason why these things are hard is because of the difficulty of finding fitness equipment that can accommodate those who struggle with obesity. Fortunately, there is bariatric fitness equipment designed to accommodate those who are overweight. Spirit MR100 Recumbent Ergometer Bike, 57" x 30" x 54"
Spirit MS300 Adjustable Recumbent Stepper, 67" x 30" x 48"
Spirit MS350 Semi-Recumbent Total Body Stepper, 81" x 34" x 47"
The PhysioTable Adjustable UBE Table is meant for use with the PhysioTrainer Bi-Directional UBE. Use the table to maximize the effects of the trainer. 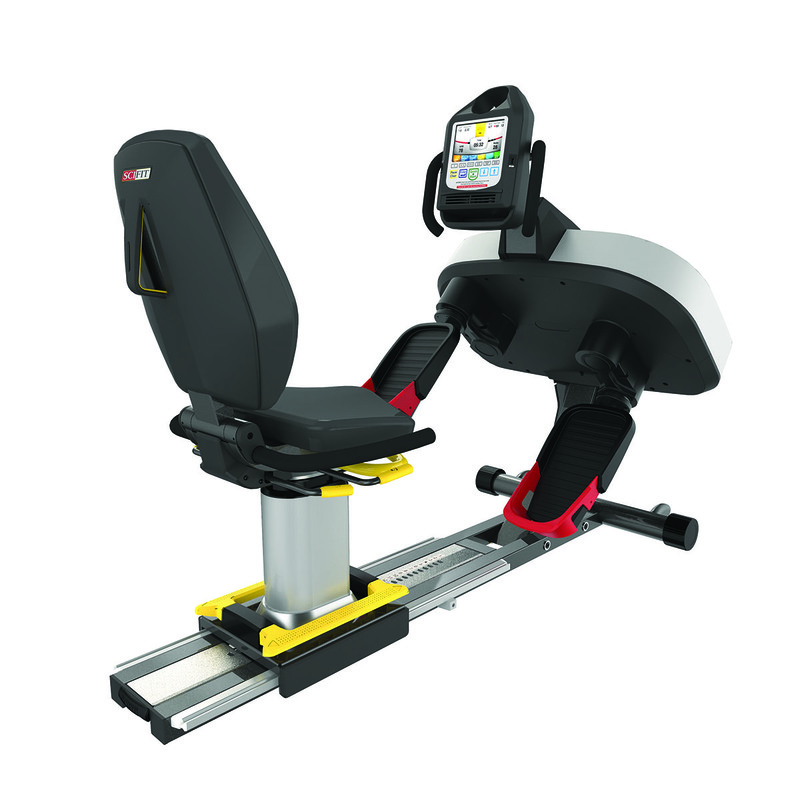 The SciFit Accessory - Adjustable Cranks are an accessory to all the SciFit Upright Bikes and SciFit Recumbent Bikes. They come as a pair and can adjust for a variable range of motion.